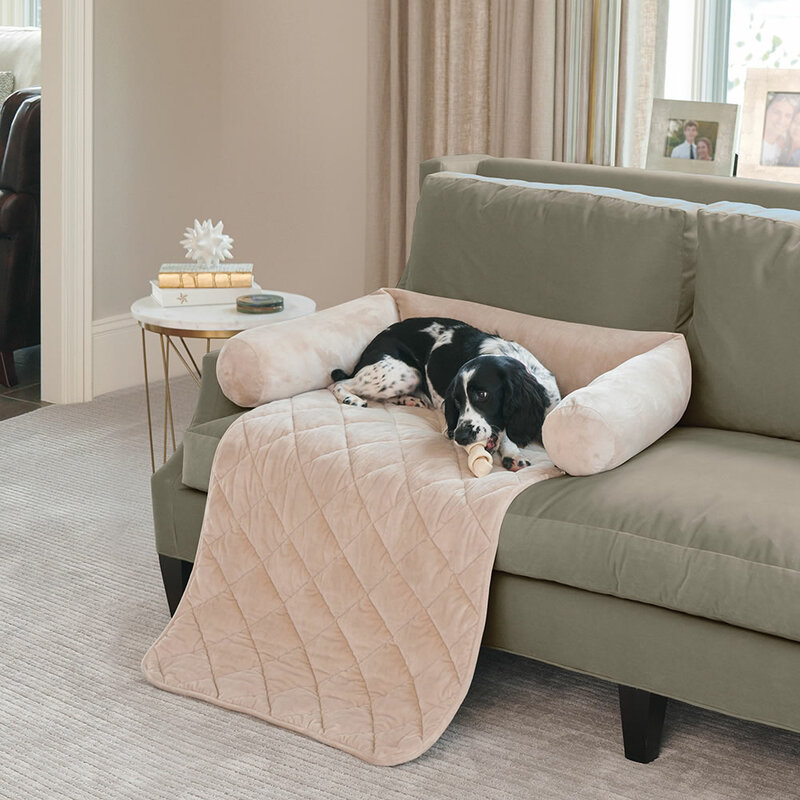 Offered exclusively by Hammacher Schlemmer, this is the washable furniture cover that protects couches, chairs, and more from pet hair and damage. Made from a sturdy yet plush waterproof material, the three-sided memory foam bolsters create a comfortable space for humans and pets alike, while the upper layer is treated to provide extra defense against water, oil, and stains. Floors and carpets are shielded from scratches, moisture, and other messes by the extra-long front drape. The non-slip backing holds the cover securely in place, even when pets scramble up for an afternoon nap. Imported. 30" L x 46" W x 6" D.
The Furniture Protecting Pet Bed comes with The Hammacher Schlemmer Lifetime Guarantee. Items that we sell are guaranteed for their normal life under standard non-commercial use.